CMS has introduced 5 new codes for Remote Patient Monitoring, in addition to the 7 connected care codes that are currently reimbursable. These codes give providers more flexibility and ease to remotely monitor, manage, and treat their patients. Easier billing requirements and higher reimbursements amounts have improved this program. The new CPT codes allow for improved relationships between patients and their caregivers. They also help restore the doctor-patient relationship by empowering clinicians and patients alike. The new remote patient monitoring codes allow care teams to provide better care and achieve better patient outcomes. The new CPT code 99457 will now reimburse physicians for $54. Instead of 30 minutes of provider time like it was with CPT 99091, the new rule includes healthcare staff (Nurses, MA, etc… ) and reduces the requirement to 20 minutes of monitoring & interactive communication with patients. In addition to that, time tracking has now become easier, with the rule having changed from the 30-day period to a calendar month. With its easy usability, ChronicCareIQ’s interactive platform will make these changes seamless and built to automate billing for these remote patient monitoring codes. Physicians and clinical staff did not have a reimbursement for the time they spent setting up the Remote Patient Monitoring equipment, nor for the time it took them to educate their patients on its use. The new code 99453; however, does offer a reimbursement of $21 just for setting up the equipment and training the patient on it. For a platform that is easy for patients and staff alike, this gives your practice even more incentive to set the patient up before they leave the office. If their numbers create cause for alarm, there’s even another reimbursement just to call the patient and check in with them. The remote patient care codes can be billed to patients by multiple doctors. There is no need to verify and jump through hoops to ensure that no other physician is billing for the same code. It enables specialists to keep tabs on fragile patients and get reimbursed, regardless if another physician is providing the same service. While the care planning requirement in CCM is useful and helps patients down a healthier road, it caused frustration, specifically for patients that did not need such extensive care planning or specialists and sub-specialists that were monitoring specific diseases or conditions. The remote patient care codes do not require complex care planning. CPT Code 99091 was a great start, but many improvements have been made through these new codes, allowing for more benefits for both the patient and the healthcare provider. These new connected care codes make it easier to manage patients outside of the office, and they can be billed for your CCM patients as well. ChronicCareIQ already has an interactive platform that can bill for these codes. Contact us or request a demo for more information and how you can start a remote patient monitoring program today! 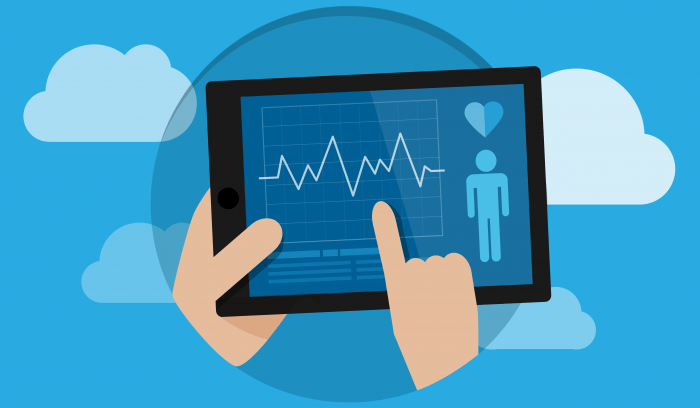 Automate Remote Patient Monitoring and start earning more revenue today! ChronicCareIQ is a cloud based solution that helps Doctors and Hospitals generate and sustain net new recurring revenue through Medicare’s Chronic Care Management, Remote Patient Monitoring, and Transitional Care Management programs. Our simple to use turnkey solution empowers physicians to keep their patients connected by utilizing technology patients already have; smart phones, tablets, computers, and other smart devices.